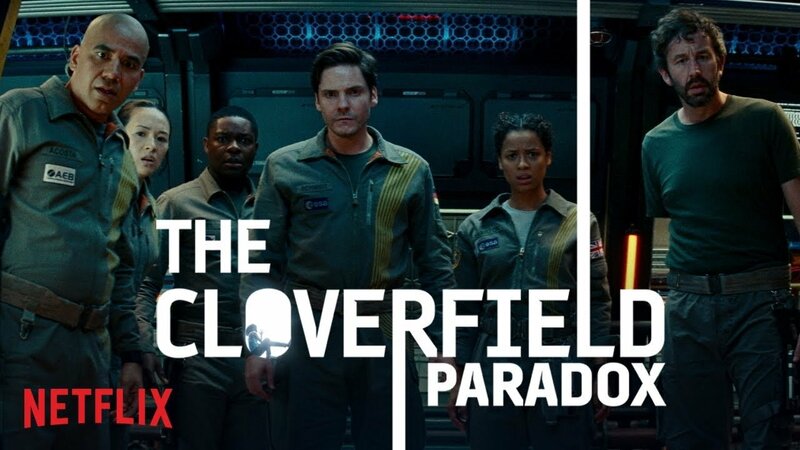 Earlier this evening, the news dropped that not only is the third Cloverfield movie happening, but it’s now titled The Cloverfield Paradox. Also, it would be dropping on Netflix. Tonight. I burst into tears of joy. Bad Robot’s enigmatic, cinematic Twilight Zone has been near and dear to my heart since the original’s release ten years ago. I’m a huge fan of 10 Cloverfield Lane, and now with Paradox we’ve suddenly rounded out the trilogy in a way that’s never before been attempted. 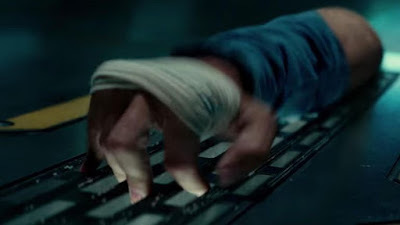 I don’t want to take away from the signature Cloverfield-ian secrecy by explaining too much about the movie, but what I will say is: it’s pretty rad. Similar to Lane, Paradox begins with a pretty intense, almost-silent short introducing the world to us. We meet a Star Trek-style crew of scientists from all over the world (including Daniel Brühl, Chris O'Dowd, David Oyelowo, and an intense and captivating lead performance from Gugu Mbatha-Raw) out on a mission to solve the energy crisis through the firing of an experimental particle beam. When this goes wrong, the crew find themselves trapped in the titular time paradox, and that’s about all I can say. Part of what’s fun about these films is their mysteries, and the mystery surrounding their very existence. Both Clover films so far (and the spiritually similar Super 8) have been built up with plenty of online guessing games in the form of viral marketing hints that act as prequels. As a super nerd, I’ve followed these quite closely, including the scraps of viral links dropped so far for Paradox. Because of this, I found myself “squee”-ing with delight at all the inside references and callbacks to the online world surrounding the franchise. As a super-fan, I saw how deeply it tied the world together, and was on the edge of my seat the whole time scanning the screen for easter eggs. I’m glad to have participated in the game leading up to Paradox, because in all honesty, without this back-knowledge, I might not have known the film tied in at all. That’s not to say it’s a disappointment, that’s more to warn casual fans not to get too hyped up about it. The film knows its genre, and takes full advantage of all the tricks and tropes we expect from a claustrophobic space movie. It has body horror. It has paranoia. It has creatures. It has those general human fears like loneliness and loss. And most importantly, it has winks at Alien, letting the audience know it’s aware of the holy ground it stands on. And it works. It’s Alien, it’s Twilight Zone, it’s Star Trek. It’s the best of sci-fi filtered through the mystery box of Bad Robot. The horror aspects of the film are legit thrilling. 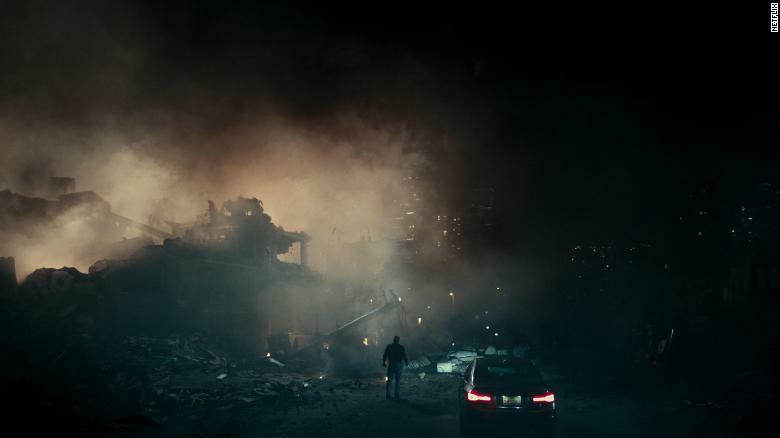 There’s a lot of really messed up stuff in Cloverfield Paradox that I just loved, all handled masterfully by fairly new director Julius Onah. Which brings me to my final point. This is a big, epic, intense, space thriller. It deserves to be experienced and paid attention to. It’s amazing, ambitious, exciting new ground to drop a movie this big so suddenly, and I’m in love with the doors it opens for future films on Netflix, but it won’t play anywhere near as well on an iPhone as it would in a theater. I hope Paramount figures out a way to give this movie the release it deserves. Ultimately, although it drags a bit toward the end, The Cloverfield Paradox is an awesome space movie with fun ties to the Clover-verse, if that’s what you’re into. Both newcomers and die-hard fans will be happy, with neither alienated. It has great performances and a lot of clever ideas, but first and foremost is an incredible feat in viral film making. That this movie exists is incredible. It also happens to be very good.